I am only allowed by my wife to rant about Gordon Brown and his toxic impact on British life and politics a maximum of three times per week. Yes, she keeps track, and yes, even I will acknowledge that this has sometimes been necessary. No such restriction applies to this blog, however, which is just as well given recent revelations made by former Labour spin-doctor Damian McBride. Apparently, Brown’s first instinct upon realising the gravity of the situation brought about by the global economic crisis and Britain’s unique unpreparedness to deal with it (thanks to eleven years of big spending Labour government) was not to issue a heartfelt mea culpa and apology to the British people for the upcoming lost decade that he was unleashing, but instead to start plotting the implementation of martial law on the streets of Britain. Help to engineer a global financial calamity and then propose banning people from protesting about it – that’s the Gordon Brown way. 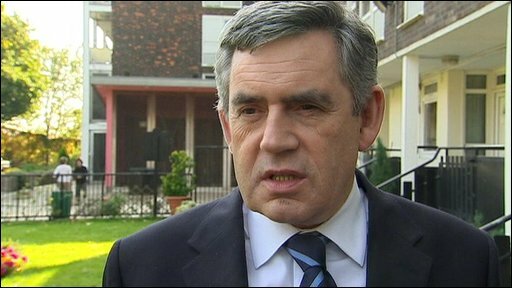 I am continually accused of being too hard on Gordon Brown. He was a good person, interlocutors on his behalf insist. His heart was in the right place, they plead. 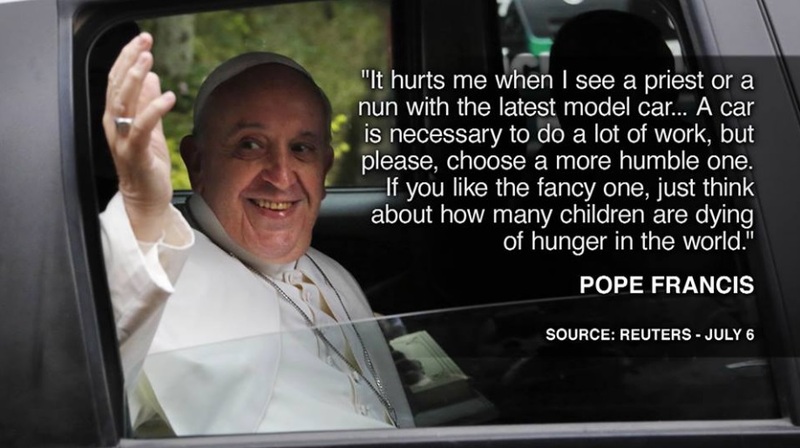 He was a simple humble methodist man who just wanted to do good for his country, they tell me. Blah, blah, blah. This man, uniquely responsible for ensuring that Britain entered the great recession as the least well prepared of all of the major world economies, thought that the best way to deal with the potential fallout would be to deploy troops on the streets to stop us from looting and pillaging our country back to the stone age. 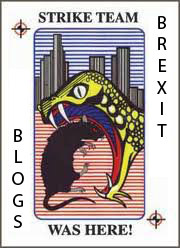 Mr Brown is quoted as saying: “If the banks are shutting their doors, and the cash points aren’t working, and people go to Tesco and their cards aren’t being accepted, the whole thing will just explode. “If you can’t buy food or petrol or medicine for your kids, people will just start breaking the windows and helping themselves. According to Mr McBride’s book, Power Trip, Mr Brown feared panic from other countries could spread to the UK. I am genuinely unsure which is worse – the fact that the man brought our nation to a place where such draconian, apocalyptic scenarios even had to be considered, the fact that he thought they might be the best way of tackling the problem, or the fact that his current proteges are this very day standing giving speeches at the Labour party conference in Brighton where they are denying any responsibility for or complicity in Britain’s continuing economic malaise. There are no words or phrases critical enough of the premiership of Gordon Brown. “It was extraordinary to see Gordon so totally gripped by the danger of what he was about to do, but equally convinced that decisive action had to be taken immediately,” Mr McBride wrote. He claimed the then prime minister understood the situation better than other world leaders, his UK opponents and senior bankers. And the former spin doctor rated Mr Brown’s actions as “up with those of President Kennedy and his advisers during the Cuban Missile Crisis”. 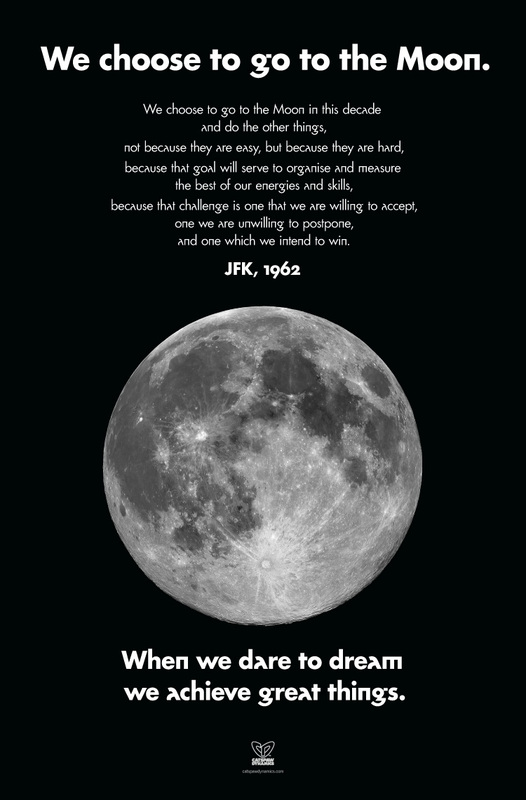 John F. Kennedy and Gordon Brown – historical equals and political peers. Aside from the fact that they both ghost-wrote books about the meaning of courage, I’m not really feeling the similarity right now. Another day passes, and is followed by another night of rioting in cities across Brazil, in scenes that are becoming increasingly familiar. This isn’t going away any time soon – as President Dilma Rousseff seems finally to realise, as she has now cancelled her upcoming overseas visit to Japan. 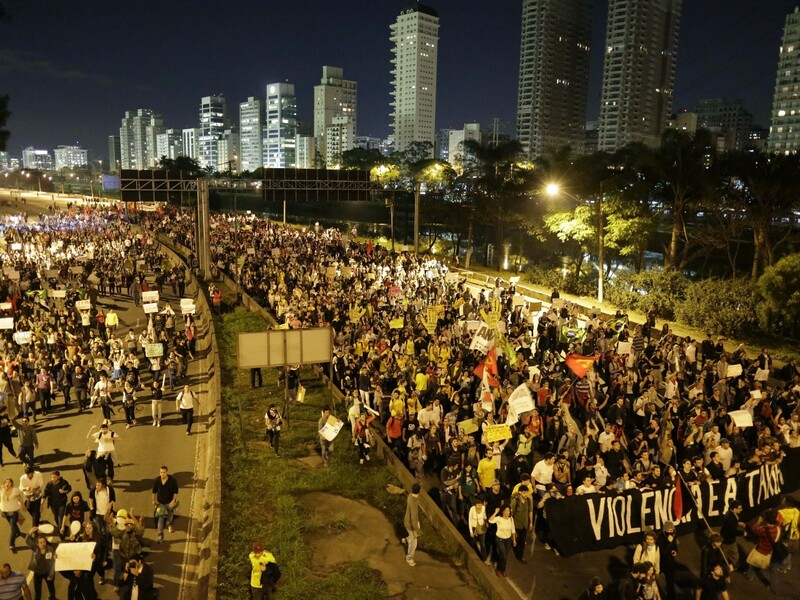 But what is becoming increasingly clear is the fact that the protests – ostensibly about nominal increases in public transport fares – have now taken on a life of their own, tapping into a lingering and deep-seated resentment of the Brazilian political and business establishment, and that the relatively minor affront of an increase in travel fares was merely the straw that broke the camel’s back. I must admit that I am only now starting to familiarise myself with the political situation in Brazil and the huge, until-recently untapped reserves of anger and contempt that the population has for the incompetence of their political leaders – as manifested by a creaking infrastructure, inadequate education and healthcare outcomes, and the mismanagement of large projects such as the preparations for the 2014 World Cup. Andrew Sullivan (and his knowledgeable readers) has a couple of excellent primers on the situation over on his blog at The Dish. Certainly there are some very acute problems specific to Brazil which are providing much of the fuel to this particular fire. But step back and look at the causes rather than the symptoms and we realise that they are exactly the same motives that drove people onto the streets and to protest in many other countries (most notably Turkey in recent days) – an arrogant, disengaged government that wears its contempt for the people on its sleeve. Watch Brazil closely – when public anger can explode like this in the sixth largest economy in the world, all those other countries in the top ten should be getting nervous. When your default position holds that Government should always be bigger and seek to do more, and play an ever larger role in the life of the citizenry, it generally follows that you will also be obsessed with tax policy, and ingenious ways to come up with new revenues. After all, the all-seeing, all-knowing behemoth has to be funded somehow. Cutting the 50% top rate suggests no great enthusiasm for rigorous taxing. Last week’s ONS figures revealed gigantic avoidance of the 50% top rate. It could have been collected but George Osborne needed to prove it didn’t work. The Treasury estimated raising the rate to 50% should bring in £6.2bn, but the actual return was a puny £100m. In Polly Toynbee world, a 50% top rate of tax is absolutely worthy and to be encouraged, and she sees nothing wrong with this, but we already know that. What is more striking, however, is the glib way in which she assumes that the population, outraged by such high taxes, can simply be stopped from taking perfectly legal measures to limit their tax bill. Phrases such as “that can be stopped” or “that could have been forestalled” are boldly laid down, but are not followed up with the how to do it when it comes to implementation. Britain can do plenty alone: we could adopt US tax laws that make every UK passport holder, wherever they are in the world, pay UK tax. Ah yes, double taxation. The United States is the only major western country to enforce this policy of taxing their citizens on money earned overseas, and the policy is universally despised and acts as a significant disincentive for many Americans to work abroad for any length of time. But by all means Polly, let’s adopt that hated policy. This is not to say that there is not a very real problem of tax avoidance, but it is far more on the business side than the individual side. People are rightly outraged when companies such as Starbucks use crafty mechanisms (“oh, we have to pay all the money we make in our UK stores as a royalty to our European headquarters in Amsterdam, so we don’t have any UK profits to be taxed this year, sorry”) to avoid paying tax on profits earned in Britain. And somehow it seems even worse when those same corporations, under the harsh glare of the media spotlight, deign to cut the government a cheque, to throw the exchequer a small bone to help solve their PR crisis. Of course, the whole quagmire could be cleaned up very easily if only there was a political party (hi, UKIP) willing to take a scythe to the existing British tax code and rebuild it from the ground up, based on the tenets of real fairness, which of course means a flat tax. A flat rate of tax on income, corporate profits, capital gains and (if we must keep it) on value added, i.e. sales. 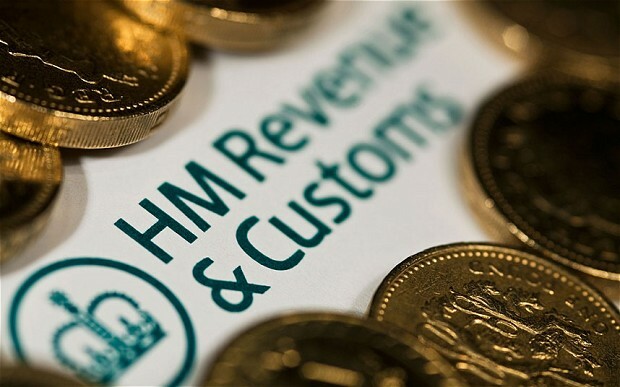 Wherever possible, double taxation should be avoided – if you have paid tax on income or a purchase already, HMRC should not be allowed to come back for a second bite of that asset later on. And if we have learned nothing else from our friends across the sea in the United States, deductions should be avoided at all costs, as should Gordon Brown’s labyrinthine system of tax credits that you can claim for everything under the sun. Eliminate deductions and tax credits so that you can lower rates for everyone. Tax cheating should be Labour’s chance to tell honest political truths: you get what you pay for, you can’t have Swedish services on US tax ideology. Tax is the price we pay for civilisation. At elections, all parties promise the impossible, more with less and cuts in “bureaucracy” to pay for everything. Treating the public like children on tax does nothing for trust in politics. The door has opened for that conversation. 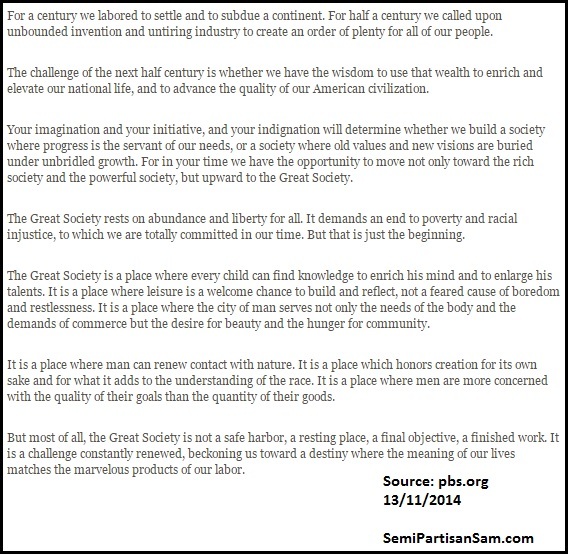 In her mind, big government is synonymous with “civilisation”. The more responsibilities that the government takes on, and the more that citizens are subservient to the government, the more “civilised” that society becomes. Polly Toynbee probably knows more history than me, but I can think of at least a couple of great civilisations from the past that survived and prospered just fine without 50% top rates of income tax, married couples allowances, earned income tax credits or personal allowances. And if Polly Toynbee really thinks that the door has opened for a conversation about the government going back to talking half of every pound that you earn above a certain threshold, and preventing citizens from making private financial decisions and transactions at a time of their own choosing so as to limit their tax liability, I am reasonably confident that she will find that door slammed very hard in her face by the British people. Well, Budget 2013 is now behind us, though the frenzied analysis continues unabated. We heard George Osborne’s more-of-the-same speech. We heard Ed Miliband’s “I would do roughly the same, but make things slightly worse” rebuttal (despite the deputy speaker’s unfortunate rhetorical question asking Labour backbenchers why they didn’t want to hear their own leader). It’s time to check our scorecards and see how we fared in the Semi-Partisan Budget 2013 Drinking Game! 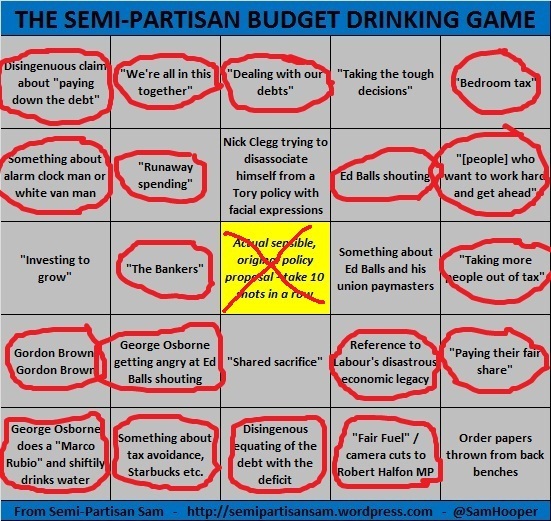 Semi-Partisan Budget 2013 Drinking Game – The Results! Well, the results are in and it looks as though I have done rather well. The most magnificent triumph, of course, was my correctly predicting that George Osborne would have a “Marco Rubio” moment mid-speech, and urgently grasp for a glass of water. I awarded myself extra points for that prognostication. Some, of course, could not be proven one way or the other – the ridiculous rules which still govern the filming of Parliament mean that you rarely get to see a full shot, so I’m not sure who was throwing their order papers, or popcorn, or kicking the seat of the MP in front of them. But I will take 18/25 as a good result any day. The middle square, of course – an actual sensible policy proposal – was always out of the bounds of possibility, and needless to say did not come to pass. I hope that you had fun playing, and I would be very interested to hear of any other similar Budget (or other politically) related games that readers may know about. Please do share them in the Comments section underneath this post, or send them to me @SamHooper. A “fiscally neutral” budget. Rearranging the deckchairs on the Titanic (to use a very tortured metaphor).